I can hardly believe it, but this is week 4 of the fall semester, which means that all of my classmates and I are starting our Level I Fieldworks this week! In my next blog, I’ll tell you all about my first couple days of Level I Fieldwork in Pediatrics. Before I do that, I want to use this blog post to give an overview of fieldwork in general, because many prospective students have a lot of questions about it! Fieldwork is our chance to go out into the field and see first-hand what we’re reading in our textbooks and learning about in class. In our entry-level Master’s program here at USC, we have Level I and Level II Fieldwork experiences. Level I Fieldwork is tied in with our 3 immersion courses: Adult Physical Rehabilitation, Mental Health, and Pediatrics. Once per week, instead of going to class on campus, we report to our Fieldwork site for a full day of clinical experience. Then, in the middle of the semester, we get a week off from class and report to our fieldwork all week long. Level I Fieldwork is a great way to get exposure to a particular practice setting, make connections to what we’re learning in class, and develop some clinical and interpersonal skills! Level II Fieldwork is a more beefed-up, immersive experience than Level I Fieldwork. While Level I Fieldwork occurs in tandem with classes during the fall and spring semesters, Level II Fieldwork is a full-time 12 week clinical experience which takes place during the second and third summers in the program. Level II Fieldwork begins with observation, but as the summer progresses, we are gradually given more responsibility, until the end of the summer, where students usually have their own caseload that they are evaluating, treating, and writing documentation about. At the end of Level II Fieldwork, the goal is to practicing at the level of an entry-level practitioner in that setting. My first Level I Fieldwork experience last fall was during my Adult Physical Rehabilitation immersion. I was placed at St. Mary Medical Center in Long Beach. At this hospital, my Clinical Instructor (CI) and I evaluated and treated patients on the acute and ICU floors. I had never seen OT in a hospital setting, so managing IV lines, oxygen cannulas, and blood pressure monitors was totally new for me. Also new to me was working with individuals in critical conditions. I was surprised by how much I enjoyed the population and setting! I had a wonderful experience at St. Mary’s, and left feeling more comfortable working with patients in the hospital, and with a better understanding of OT’s role in an acute setting. 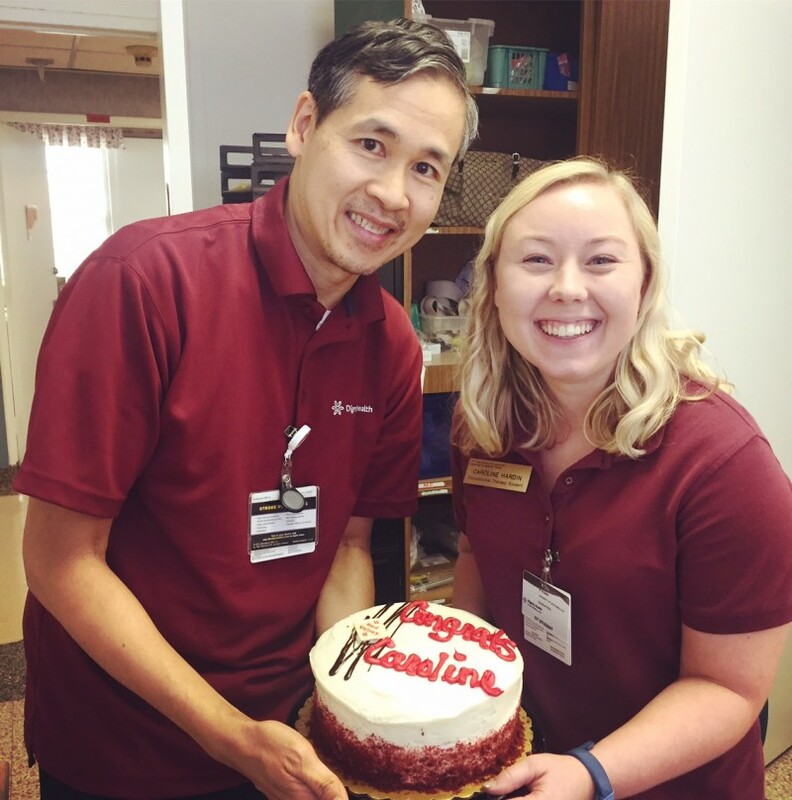 My Clinical Instructor had a cake decorated to celebrate my last day at St. Mary’s! The following spring semester, my Level I Mental Health Fieldwork placement was at Gateways Forensic Community Treatment Program. This was an outpatient mental health setting that provided court-mandated services for individuals following release from prison or inpatient mental facilities. I had a lot of autonomy at this site: I got to lead groups and facilitate one-to-one OT sessions with my own caseload. Erika wrote a whole blog about embracing fieldwork sites without an OT as your CI, and I couldn’t agree with her more! I had a lot of responsibility, but I think this push was exactly what I needed to gain confidence in myself, my knowledge, and my therapeutic use of self. I was also totally unfamiliar with OT’s role in Mental Health prior to that semester, but I definitely saw the value of occupation and OT’s approach for the individuals I was working with. This is the final product of one of the activities I did with my group at Gateways. 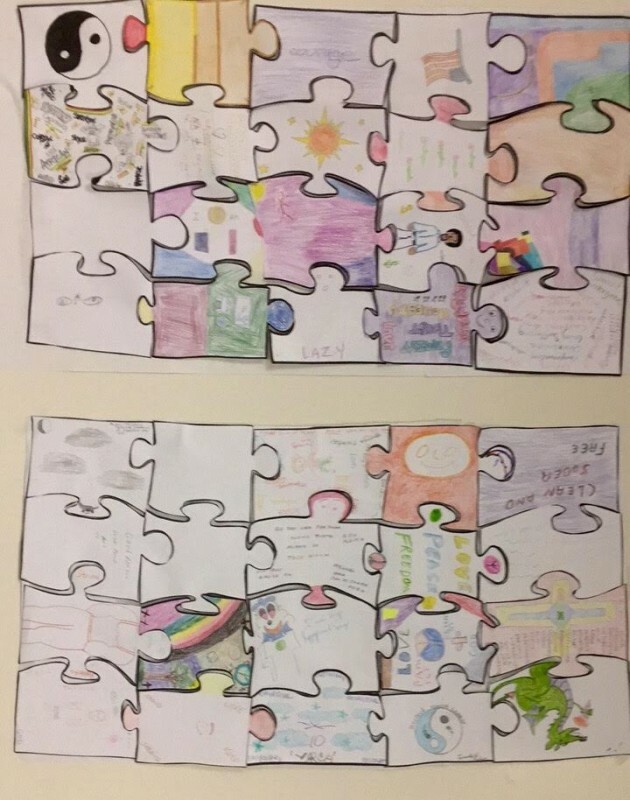 I asked each of the participants to create a puzzle piece that reflected their personality, how they think others saw them, and their favorite occupations. Then, the participants worked together to put together the puzzle, which ended up as a decoration on the wall in the group room! Then came summer, where I had my first 12-week Level II Fieldwork experience. I was placed at St. Barnabas Senior Services (SBSS), a center for community-dwelling older adults. This site fell into the category of primary care and health promotion and wellness. My fellow-classmates and I were the first students to have our Level II Fieldwork at this site, so it was up to us to do a needs assessment, market our services, and establish OT’s presence at the site. While that’s hard to accomplish in the span of 12 weeks, we did establish new groups (allowing seniors to engage in new occupations), met with individual clients (that we recruited ourselves! ), and led health education and literacy presentations (I provided education on fall prevention and diabetes management). A lot of things about my summer were challenging, given the nature of the site, but I definitely grew as a person and as a future OT. I enhanced my Spanish skills (75% of the time I was speaking with the older adults, it was in Spanish), learned about program development, gained familiarity with common chronic conditions commonly experienced by older adults, sharpened my clinical observation and reasoning skills, and practiced with different evaluation tools and practice models. I wasn’t sure how I felt about working with older adults at the beginning of the summer, but I could definitely see myself working with older adults in the future! 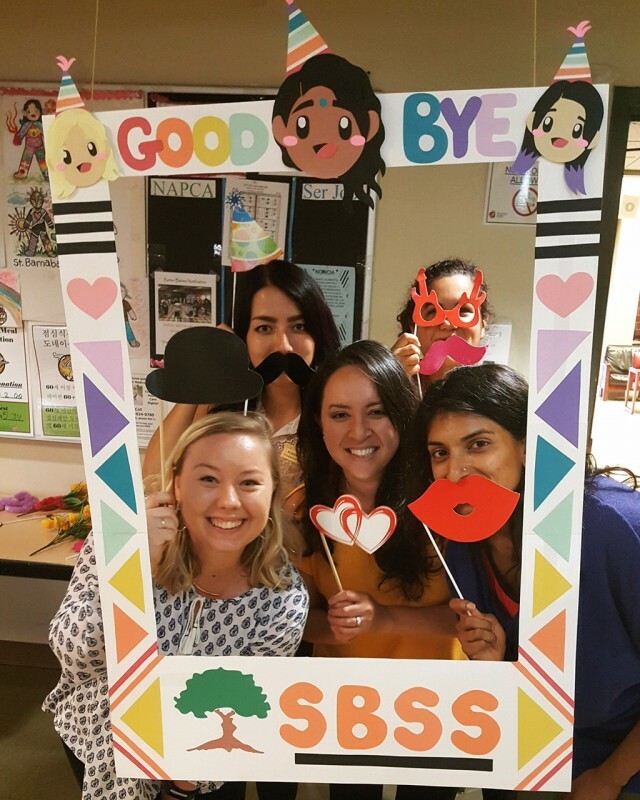 Celebrating my last day at SBSS with my fellow students, my Clinical Instructor, and my on-site supervisor! So now I have one more Level I Fieldwork placement left, this time in Pediatrics, and then one more Level II placement next summer. As I said before, my problem (albeit a “good problem”) is that I haven’t yet found a population that I didn’t enjoy working with. I love OT because it allows me to connect with a diverse range of individuals, meet them where they are, and help them work towards getting to where they want to be. In class, we talk about how to do that, and we simulate that with case applications. Fieldwork, though, is my chance to really apply that and have a hands-on learning experience. How valuable that is! Now that you’ve heard about my prior fieldwork experiences, stay tuned for my next blog, where I’ll tell you how my Level I pediatrics fieldwork has been going so far! I love the excitement that comes with a new school year! Growing up, I always looked forward to the annual tradition of back-to-school shopping with my mom and sister – pens, notebooks, and flashcards galore! At the start of a new year, I delight in filling my planner with color-coded assignments, due dates, and obligations…though looking at everything I have to accomplish over the semester can be slightly stress-inducing. One week at a time, Caroline, one week at a time. These first couple weeks back at school were particularly exciting, as I got to reconnect with all of my classmates after we’ve all completed our first 12-week Level II Fieldwork experiences. It was very cool to hear about all of the different settings my classmates were working in: hospitals, pediatric clinics, schools, nursing homes, rehabilitation centers, skilled nursing facilities, community mental health sites, inpatient psychiatric sites, home health, and more! My classmates have shared about their challenges, their successes, and (my favorite) their A-ha! moments. 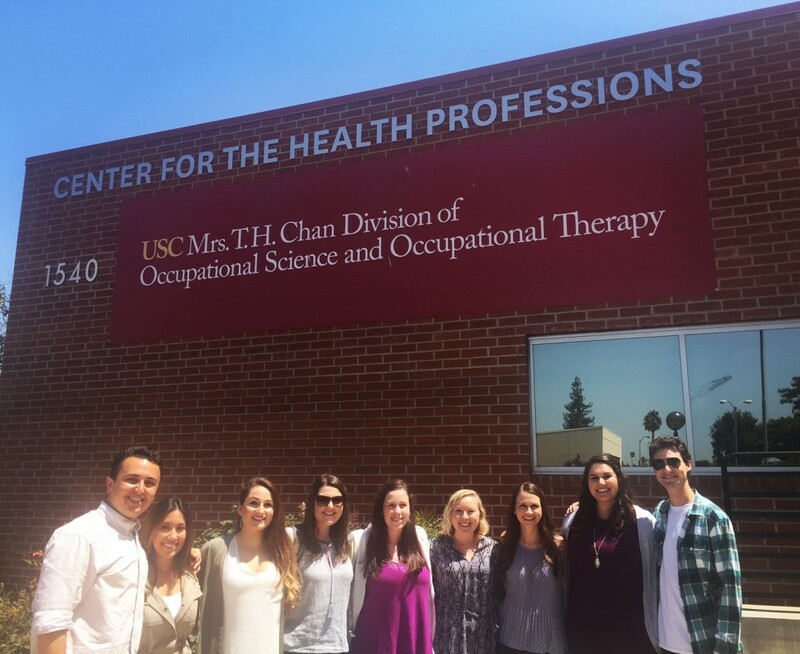 I have noticed a newfound confidence my classmates have gained after spending 12 weeks in the field, moving towards the comfort level that an entry-level OT practitioner has. 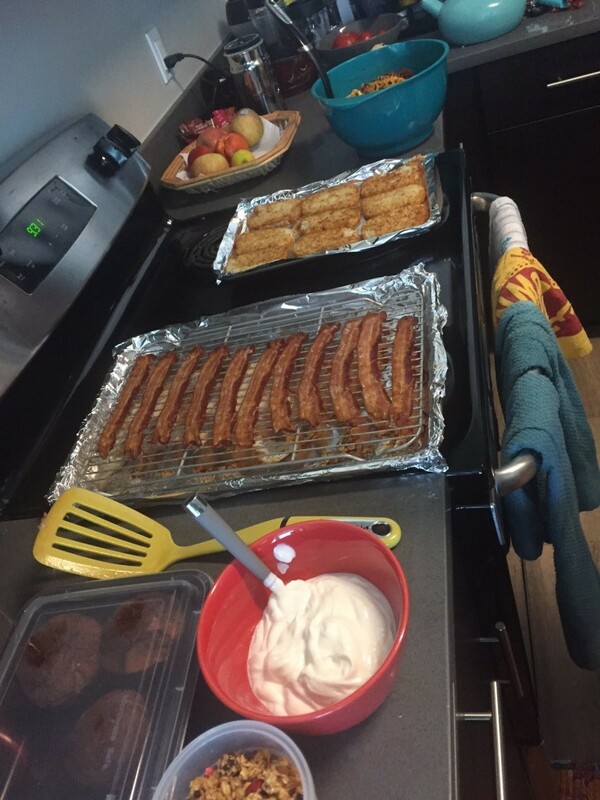 Because some of my friends chose to do their fieldwork placements out of the area for the summer, we decided to do a potluck brunch on the first morning of school to celebrate our reunion and the beginning of another school year! One of my friends lives in Currie Hall, a student apartment on our Health Sciences Campus, so it was incredibly convenient! We also got to check out the Solar Eclipse from her balcony (though to be honest, not sure what I was looking at. Good thing I went into OT and not Astronomy). It was a fun morning catching up, reflecting on our summers, and getting excited for the upcoming school year. I am in Cohort A, so this fall semester, I’m taking OT503 the Pediatrics immersion course, which I am really looking forward to. In addition to Pediatrics, all of the second year students and I are taking the following courses: OT 534: Health Promotion and Wellness, OT537: Occupation-Centered Programs for the Community, and OT 538: Current Issues in Practice: Adulthood & Aging. Pediatrics, aging, programming, and wellness – if that isn’t a testament to the diversity of our profession and its scope, I don’t know what is! Check out our course sequence if you’re interested in the rest of the courses in the program, and follow along this semester as I work my way through these courses and all of the assignments in my fresh new planner!